Click one of the links below for more information. If you don’t find an answer to your question here, don’t hesitate to contact us online or call us at (828) 754-4107! My car just isn’t running right – what could be wrong? My car pulls to one side – why? My car won’t start – what’s wrong? If you’ve had your vehicle repaired for a Check Engine Light and it comes back on soon after the repair, it may or may not be related to the repair. Remember that the Check Engine Light indicates a failure of up to 100 different causes. Because a Check Engine Light has so many causes, it is extremely important to have it diagnosed and repaired. Only by having your vehicle repaired each time the Check Engine Light comes on, can you safely operate your vehicle and be assured that you are not causing additional damage and expense to your automotive repair budget. It also pays to have a professional with the proper equipment and training to test your vehicle to see whats wrong. Many stores will use a small handheld device to " pull the codes " and use that as a diagnosis. "Pulling the codes" only gives a technician an area or system to test. Many people have purchased and replaced an EGR valve because " that's what the code said" only to find out all they needed was to have the carbon cleaned front the EGR intake passages. My car isn’t running right – what could be wrong? For the vast majority of drivers, oil should be changed every 3 months or 3,000 miles. So why do so many owner’s manuals recommend oil changes every 5,000 to 10,000 miles? Our goal is to not only prevent costly breakdowns, but also reduce your overall cost per mile vehicle expenses. Regular oil changes are the cheapest way to protect your automobile and more important your automotive investment. This engine had to be replaced because the sludge build-up was so bad, it stopped up the passages where oil flows, starving vital engine bearings of oil. 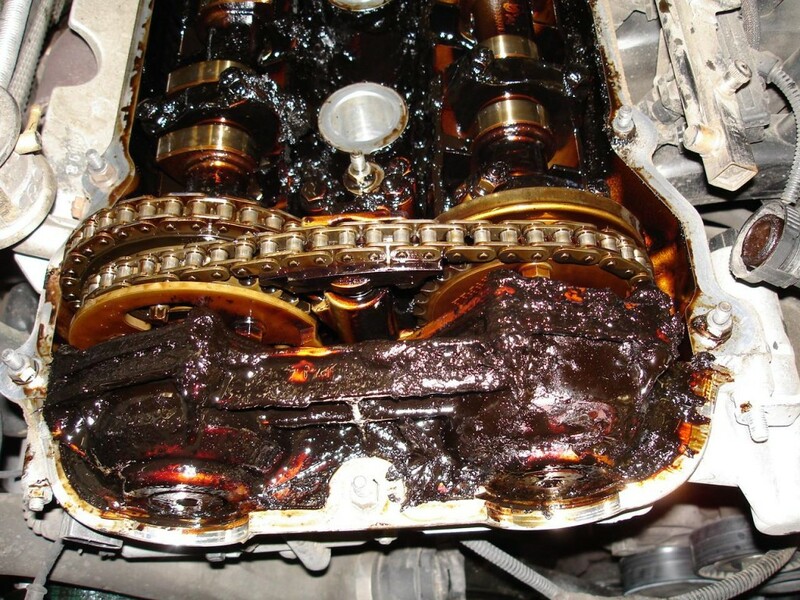 Regular oil changes could have prevented this! How can I prevent future breakdowns? The number one cause of preventable breakdowns is not performing the regular scheduled maintenance for your vehicle. Give us a call at 828-754-4107! What happens when you turn the key? Does your engine turn over or try to start? Does your car make any noise when you turn the key? Grind or click?